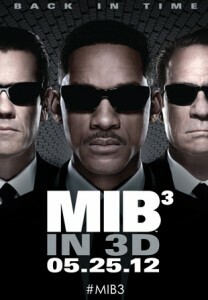 Will Smith, arguably the most bankable Hollywood star in the business, returns from a near 4-year absence with Men in Black 3. For the life of me I can’t figure out why. This franchise began 15 years ago to huge success, but the last time we saw the duo of Agents J and K was back in Summer 2002… ten years ago. And it was a very disappointing outing at that. 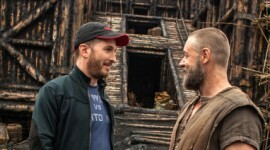 With Smith needing an established franchise to return to, the filmmakers attempt to breathe fresh air into a musty framework. 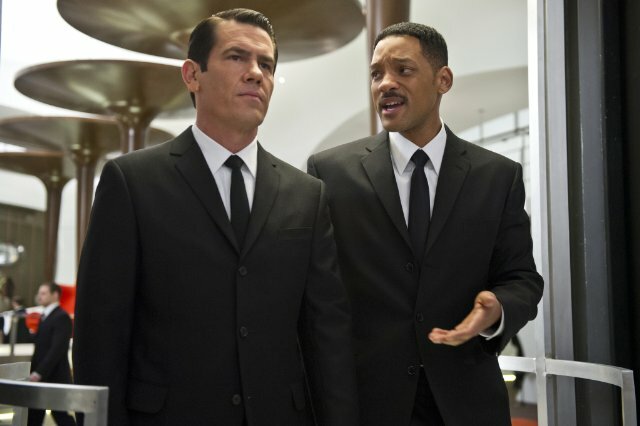 In many respects Men in Black 3 actually delivers some old school action-comedy hijinks, but generally speaking the film fails to match the energy and wit of the first installment. Smith again plays Agent J ridding the Earth of violent extra terrestrials alongside his aging partner K (Tommy Lee Jones). K is even more dry, stoic, and blunt than usual. Something seems to be eating away at him and he harnesses his internal fear from J, until one morning K disappears from existence. J can’t find him at MIB headquarters and no one seems to have any recollection that he’s been alive during the last 40 years. Perplexed by K’s literal erasing, J discovers the malevolent plot of a one-armed alien bug named Boris (Jemaine Clement) that was captured and locked up on a lunar prison by K. Somehow, Boris managed to escape prison, make his way to Earth, and then travel back in time to 1969 and murder K before Boris could be incarcerated. Not only that, but this altering of time also prevents K from ever having launched an alien shielding force field around the globe that prevents otherworldly invasions. As the bug clans enter Earth’s atmosphere for a full-scale assault to annihilate the planet, J must travel back in time to 1969 to stop Boris from altering the future and preventing K’s murder. J teams up with the 27-year-old Agent K played by Josh Brolin, sporting a spot-on impersonation of Jones, and livening up an otherwise forgettable sequel. Although the plot wreaks of ‘Back to the Future Part II‘ syndrome, Men in Black 3 has matured in comparison to Men in Black II. Smith mounts the film on his shoulders and treks through some messy writing to find occasional inspired moments of humor—which for the most part surprised me. 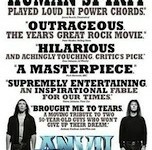 After reading of the numerous production issues on this project, I expected nothing from this third outing. However, I have to say this return to old school cheesy action and plotting was a bit refreshing. Will Smith returns to a genre that suits him well and it is a great deal of fun to have him back steering a blockbuster film. It is Brolin, however, that steals the show and makes the mediocrity of the film worth enduring. Where Jones seems to be phoning in his 15 minutes of screen time, just as he phoned in the last installment, Brolin actually gives 110 percent and provides the audience a window into Agent K’s heart that has been sealed shut since Jones reprised his role ten years ago. Men in Black 3 also has a ball poking fun at the 1960s and Will Smith’s character in that time period. Does it go for broke? No. 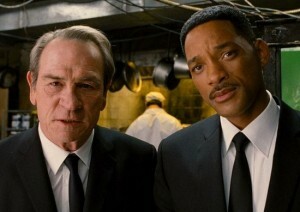 But Men in Black 3 is a marginally enjoyable diversion for brisk silly escapist entertainment. You won’t love it, you won’t hate it. And you’ll probably forget it before you can even find your neuralizer. I’m not sure why “Romantic” movies are also coupled with “Comedy,” but for some reason, the two seem inextricably linked like “Peanut Butter” and “(something else).” But for whatever reason, Romantic Comedies seem to have found their audience, and they’re generally a pretty safe bet for Hollywood producers as well as the viewing public. Rom-coms don’t usually have massive budgets like sci-fi epics or action movies, and aside from some anomalies like My Big Fat Greek Wedding, they typically don’t dominate the box office but usually have no trouble making their money back. Most mainstream Rom-Coms rely on the star power of one or two notable actors, a rather formulaic plot, and a feel-good ending that implies the same “happily ever after” resolution as most childhood fairy tales. That’s not to say Romantic Comedies aren’t enjoyable, just predictable. Hitch, while still being romantic, comedic, and predictable, does have enough variations from the norm to make it interesting and fun to watch, even though its serious flaws are tough to overlook. Will Smith plays Alex Hitchens, a guy who “creates opportunities” for people to hook up. He doesn’t directly pair up guys with the girls of their dreams, but instead he shows guys how to adjust their attitude and self-image so as to appear more attractive and desirable to the women they are trying to go out with. In the obligatory (for this kind of setup) montage near the beginning of the movie, Hitch shows a socially akward fireman how to be more calm and collected around a particular girl, another guy how to lose some of the bad habits he has picked up, and so on. Hitch guarantees that he can get any girl to go out with any guy for at least three dates. 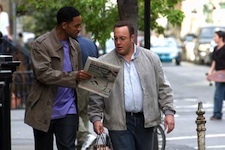 This presents a rather interesting problem when a very akward accountant named Albert Brennaman, played by the affable Kevin James, enlists Hitch’s help in getting a date with his client Allegra Cole–essentially this movie’s version of a more intelligent Paris Hilton. The setup is perfect for showcasing what makes Hitch unique not only within the movie, but within the canon of Romantic Comedies and Hollywood in general: he refuses to create opportunities for simple one-night stands. Instead, his goal is to help people find fulfilling, long-lasting relationships that have far more depth than what is usually portrayed on the silver screen. Hitch and Albert, both searching for love. In other words, too much story for only one movie. 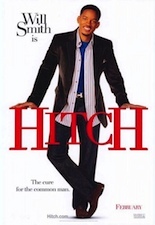 This premise in itself might make for an interesting enough movie on its own, but fortunately the movie is a bit smarter than that and also delves into the backstory of Hitch himself–ironically, though he is known as the “Date Doctor,” he has his own fears of commitment and has never had a long-lasting relationship. But this divergence in the movie is also one of the film’s weak points, as it is handled a little too clumsily and gives the storyline a distinct lack of focus. While Hitch is busy helping Albert with proper dance moves at the club, how to speak with confidence, and the “90%” rule of kissing a woman, he is also busy chasing local gossip columnist Sara Meles (Eva Mendes). And this is where things get a little confusing: just when we are getting to know Albert and feel empathy for him and his situation, we are taken on a side quest with Hitch as he tries to hook himself up with Sara. The two of them go on dates with hilarious pratfalls such as Hitch accidentally kicking Sara off her jetski and into the polluted waters of the Hudson River, and Hitch himself getting a horrible outbreak of facial swelling due to a food allergy. Har! As if these two plots weren’t enough, there is another subplot involving Sara’s friend Casey and a guy Hitch refuses to work with, because all he wants to do is sleep with her. This of course leads to misunderstandings, confusion, and the sorts of conflicts that are omnipresent in Romantic Comedies. In the end, everything plays out about as you would expect, and though I won’t spoil anything here, I will say that pretty much every Romantic Comedy cliche right down the climax and denouement is present here. Let me be clear: predictability is not a bad thing, and I don’t mean to cast aspersions on Romantic Comedies in general. But what keeps Hitch from being more than average is its poor handling of the multiple storylines, and a general lack of character development for everyone but Hitch himself (the relationship between Albert and Allegra is never explored very much, despite ostensibly being the main focus of the movie). 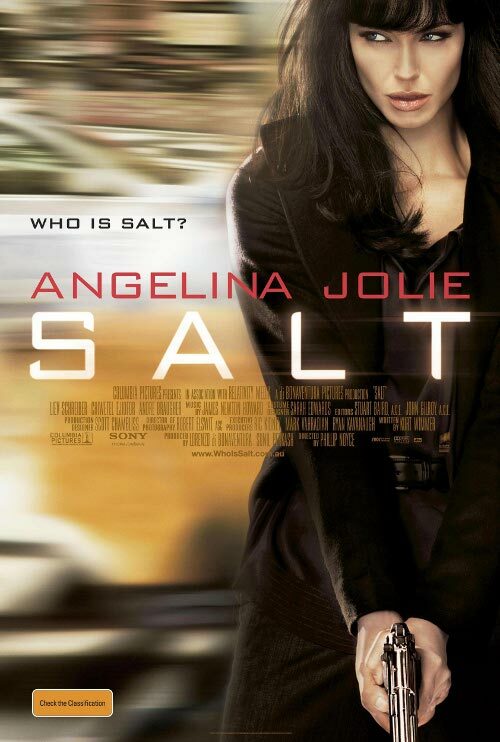 Is it a passable Romantic Comedy? Sure. It’s just not much more.